The spirit of classic Las Vegas is still alive at the Hilton Grand Vacations Club at the Flamingo. Find your very own home-away-from-home in Sin City with timeshare resales and rentals from SellMyTimeshareNow.com at a fraction of the developer cost. At the Hilton Grand Vacations Club at the Flamingo, you can call the best part of The Strip your home for the duration of your trip. Located directly on South Las Vegas Boulevard near classic Vegas establishments like Caesars Palace and the Bellagio, you'll have all Las Vegas has to offer at your disposal. The resort's massive 15-acre property offers its guests many others on The Strip can't—room to explore. Walk through the resort's meticulously maintained gardens to relax by the heated pool, or relax in the exclusive Owners Lounge. With units ranging from studios to spacious two-bedroom suites, the accommodations at the Hilton Flamingo Las Vegas are perfect for couples, families, or even bachelor/bachelorette parties. Most timeshare units of the resort will have breathtaking views of The Strip, promising perfect photo ops along the Vegas skyline. Common in-unit amenities include full kitchens to prepare your own meals and laundry machines for your convenience. Hilton Grand Vacations at the Flamingo offers so much to experience in Las Vegas, and you could secure your very own piece of it. Timeshare resales and rentals are available at the resort today, and you could submit your own purchase offers in just a few clicks. Fill out the form on this page for more information, or call a representative at 1-877-815-4227. Purchasing a timeshare at the Hilton Grand Vacations Club at the Flamingo will allow you to lock down one of the luxury timeshare units at the resort and save thousands in the process. Since timeshare resale advertisements are provided for-sale-by-owner, they are often priced up to 70% less than what the resort offers, allowing buyers like you to save big. With deeded and floating weeks as well as HGVC points available for purchase, you won't have to settle—you'll have plenty of options that meet your vacation preferences. What's more, a resale at the resort could mean easier access to the Hilton Grand Vacations Club and their rewards program, HHonors. 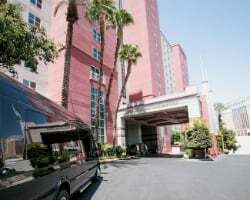 As its name suggests, the Hilton Grand Vacations Club at the Flamingo is affiliated with Hilton Grand Vacations, one of the world's most popular timeshare ownership brands. Hilton has earned a reputation as one of the most resale-friendly timeshare brands in the industry, imposing very few restrictions on resale buyers. While you won't be able to enter the club at the Elite level, you'll still be able to make reservations at the Flamingo resort, bank or borrow your points, or explore other vacation options at other Hilton resorts around the globe. The Hilton Grand Vacations Club Flamingo is affiliated with RCI, the world's largest timeshare resale company. With a separate RCI membership, you can deposit your deeded week or points at the Hilton Flamingo into RCI's database and exchange for stays at other resorts all around the world. Additionally, the Hilton Grand Vacations Club at the Flamingo has earned an RCI Gold Crown rating, noting its superior amenities and excellent reviews from former guests. This will help you earn a higher trading power when exchanging, making more resorts eligible for you to trade with. At your Hilton Grand Vacations Club Flamingo timeshare, you'll be fully immersed in all Vegas has to offer. At the resort, you'll find a heated outdoor swimming pool complete with a poolside bar to help you relax and recharge after a night out on the town. 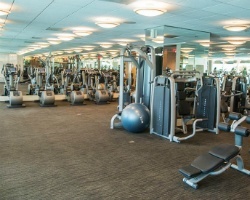 The fitness center will ensure that you stay on top of your fitness goals, while the recreation area offers games of billiards and table tennis. 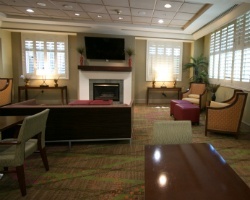 You can also head up to the Owners Lounge for a relaxing spot to socialize with fellow timeshare owners and forge new connections. When you step outside the resort's grounds, you'll immediately be in the center of all the action. The resort is located directly next to the Flamingo casino that shares its name, for those looking to win big at the blackjack table or slot machines. Other casinos like Bally's and the Bellagio are nearby as well. Head down The Strip to find amazing live entertainment from acts like the Blue Man Group and Cirque du Soleil, or stop in at one of the world-class restaurants that dot the area. Day trip activities include tours of Red Rock Canyon or the Hoover Dam, both conveniently located just outside the city. Already Own at Hilton Grand Vacations Club at the Flamingo?